Lin-Manuel,,,how about some Hamilton tickets? Should A.H. have won the duel against Aaron Burr? de keuze van de fan: Yeah! shoot that pompus liar! Yeah! shoot that pompus liar! Should Alex be pictured on a higher valued bill? de keuze van de fan: For sure! What did Jackson do to deserve the 20?! Is there anyone out there that believes meer should be told and shared about Alexander Hamilton and how much he contributed to the US? Wish he had better PR people. Many believe that Hamilton had wanted Burr to kill him. It is zei that Hamilton hated himself and often had insecurities about his personality, background (given his illegitimate birth and poverty stricken childhood). It is zei that he superimposed himself onto Burr, seeing himself and all his flaws in him. Hence, in some psychobabble way...he got Burr to kill him door throwing his first shot. 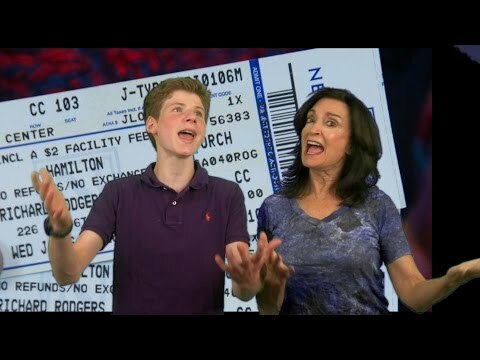 a video was toegevoegd: Lin-Manuel,,,how about some Hamilton tickets? a comment was made to the poll: Is there anyone out there that believes meer should be told and shared about Alexander Hamilton and how much he contributed to the US? Wish he had better PR people. a comment was made to the poll: Should Alex be pictured on a higher valued bill?